AUSTIN - The Republican Party of Texas has issued an advisory to all Texas Republican County Chairmen with an update on the primary election filing period and changes to the election calendar over the next several weeks and months. As a result of a court order from a federal panel of judges in San Antonio, the new filing period for the March 2012 Primary Elections is November 28 to December 15. (See Complete List of Dates Below.) These filing changes apply to all races on the March 2012 Primary Election ballot in Texas - federal, state, county and local. The filing period changes were ordered by a three-judge federal panel in San Antonio, which signed the order to allow for enough time to complete the process of drawing interim legislative maps for the 2012 Texas Primary Elections. At this time, it is not clear what lines and districts will be ordered by the court, and this delay in their ruling has necessitated the changes in the election calendar. RPT spokesman Chris Elam summarized the reason for the dramatic changes to the election calendar, stating: "This order was issued as part of the ongoing Texas redistricting trial - a trial forced by numerous legal challenges to the redistricting maps passed overwhelmingly by the Texas Legislature. All these lawsuits originated from Democrat elected officials, liberal special-interest groups and the same cast of behind-the-scenes financiers who helped oversee and pay for the Democrats' loss of 25 seats in the Texas House, as well as the failed 2010 gubernatorial campaign of former state Democratic party chairman Bill White. The very same big-money liberals have been active during the trial, and even appeared to testify in front of the federal judge panel. Driven by the pain of their electoral failures in 2010, these desperate liberals have turned to the courts to gain whatever influence they can muster, at the expense of the time, effort and holiday season plans of thousands of volunteers and elections officials in the state. The RPT appreciates the hard work and leadership of our county officials and party leaders throughout the state, and we stand ready to assist each of them in whatever way we can to ease the difficulty of this highly condensed schedule." Most of the Redistricting lawsuits brought on by Liberal Democrats are in response to the way the Texas Legislature re-drew Congressman Canseco’s United States House of Representatives District 23 in Texas. These Democrat groups claim that the way Canseco’s district is redrawn will hurt Hispanic representation. I have searched in my head for more civil words to describe these lawsuits, but the only work that comes to mind is stupid. These lawsuits are just plain STUPID! The lawsuit says that Hispanic representation will be hurt in this new district. The fact is that this new district is redrawn in such a way that there are MORE HISPANICS in this new district than before the district was redrawn. So how can they argue that Hispanic representation is lowered if there will be MORE Hispanics in this new district? They also argue that Hispanics can only be represented well by someone of their own race. Well, I guess they do not know, but this Congressional District 23 is currently represented by Republican Congressman Francisco Canseco. He is a HISPANIC! Yep, these lawsuits are just stupid. These Democrats claim to be fighting for Hispanics in these lawsuits, but this new district is MORE Hispanic, and it already has a Hispanic Congressman! The truth is that these Liberal Democrat lawsuits do not seek a “Hispanic” district. These Democrats seek a “Democrat” district. They are not happy that the majority of Texans are Republican and instead of taking their issues to the ballot box they have tried to get judges to draw new maps instead of the Elected Officials in Texas. The truth is that these new maps actually help Democrats because these new maps will lower the amount of Republicans in the Texas House of Representatives. That is crazy because Republicans have a Super-Majority in the Texas Legislature so for the Democrats to gain seats with this new map means that they got a good deal. The Democrats who are crying about the deal they got in redistricting should look over at Illinois. Illinois is controlled by Democrats and the Democrats drew the news maps so that nearly every single Republican will be kicked out of office in Illinois next election. That is just plain wrong. The Democrats in Texas should be ashamed of themselves for bringing a stupid lawsuit against these new maps and for claiming to be doing it to help Hispanics. That is crazy! I am an Anglo Republican and I supported several African American and Hispanic candidates in the recent elections. In fact, many predominately Anglo areas in Texas elected Republican Hispanic and African American representatives. For instance, I supported James White (African American) for State Rep and he was elected, and I also supported Bill Flores (Hispanic) for Congressman and he was elected too. Those two men are great Republicans who share my values and race has nothing to do with it. I also personally support Ted Cruz for Unites States Senator from Texas. He is Hispanic too! On the flip side, not only do Anglos vote for Hispanics and African Americans, but African Americans and Hispanics also vote for Anglos! Please listen to the message of Hispanic Adryana Boyne given at the Republican Party of Texas Convention in May 2010, and also read what young Hispanic Fernando Trevino has to say about breaking away from the Democrat Brainwashing he grew up with. Also, watch this video to see African American Pastor John Lawson explain the "Civil Rights Industry" and "Why Black People Should Abandon Democratic Party." I, and the fellow Republicans that I know, do not base any votes on the race of the person running. We base the votes on the values of the person running. Do they want to kill unborn babies or want to give them a right to live? Do they want to keep spending our tax dollars or do they want to cut back government spending? Etc. I do not look at race and neither should anyone else. The claims made in these lawsuits are not only absurd, but they are also factually wrong. All these lawsuits do is prove that THEY are the racists who use race in elections instead of voting for the person with the best values. I wish that more people would vote based on values instead of race. If they did then most African Americans and Hispanics would vote Republican because most Hispanics and African Americans hold conservative values, not liberal Democrat values. The only reason why many Hispanics and African Americans have voted in a block for Democrats is because Democrat groups deceive them into believing that blindly voting for a Democrat is best for them, even if that Democrat does not even hold the conservative values of the voter. Republicans have to start fighting back against these lies. We must reach out the minority groups and show them that we are the party to represent their values. There are already some people and organizations that have been working hard in doing this like Claver Kamau-Imani (African American) founder of the black republican group Raging Elephants, Adryana Boyne (Hispanic) with VOCES Action and the people of the Latino National Republican Coalition. Claver even recently made national headlines when he stated the Democrat Party was racist and the Party of the KKK. Also, the Republican Party might be in favor of protecting the border, respecting our Laws, and not allowing any person of any race to come in illegally in order protect our safety from people like this illegal immigrant Houston cop killer and also these illegal immigrant Houston cop killers. But wanting to protect our Borders aside, the Republican Party has many great Hispanics as leaders in the Party and we are not the party of only Anglos. We are the Party of all people. Hispanics and African Americans especially hold the same conservative values of the Republican Party and we welcome all people from all races to the Republican Party. Together we can stand for our conservative values against the attacks from the liberal left. The full list of court-ordered changes to the filing period is as follows. November 28: First day for candidate filing. (Moved from November 12). December 10: The last day a vacancy for an unexpired term in an office of the state or county government may occur and still appear on the primary ballot. (Moved from December 7). December 13: Last day for counties to change precinct boundaries to adjust to new legislative lines. (Moved from October 1). December 15 @ 6 p.m.: Last day for candidate filing (Moved from December 12). December 15 is also the last day for state house and state senate candidates to establish residency in a district. (Moved from November 6). 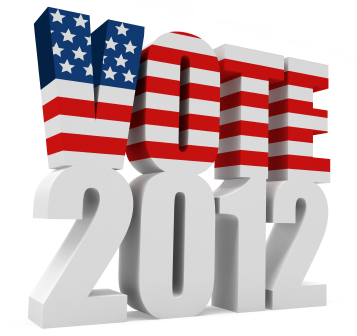 December 16: Last day to omit a name from the primary ballot if a candidate withdraws, dies or is declared ineligible. (Moved from December 13). December 19: Last day for Chairman Munisteri to deliver certified list of statewide and multi-county district candidates to every county chair. (Moved from December 16). December 19 is also the last day for a write-in candidate for the office of county or precinct chair to file a declaration of write-in. December 19 is also the last day to apply for a place on the primary ballot for an unexpired term for a vacancy that occurs on or before December 10. December 20: Last day for county executive committees to conduct drawing for candidate order on ballot. December 22: Last day for Chairman Munisteri to deliver the chair's list to the Secretary of State, and for county chairmen to deliver a copy of the chair's list to the county clerk, the Republican Party of Texas, and the Secretary of State. January 13: Last day for county election registrars to issue new voter registration certificates to the existing county voters. (Moved from December 6). March 6: The date for the Republican Primary Election remains unchanged. Most amusing rant I have read today. Obviously you failed to acknowledge or read the actual lawsuit with all the accompanying emails. In the emails, those drawing the maps explicitly state that they were seeking to redraw the lines to create a better district for quico. When facts and laws no longer matter - must be your nightly dream. Anonymous must love it that these judges redistricted black conservative Republican James White out of his Texas House district. The judges are not for minorities, they are liberals for the Democrat Party.